I’ve been trying to attend more workshops this year. I’m always interested in gathering new ideas (or revising old ideas) for use in my classroom. As I explore the flipped and blended learning models in my classroom this year, I realize how often PD does not practice what it preaches. We learn that the ONE SIZE FITS ALL model is not a best practice in teaching and yet often times PD is exactly that. I finally attended a workshop a week ago that really rekindled something within me. A group of teachers from my school attended and we were all so inspired by what we learned,that we ended up staying 30-45 minutes post-workshop discussing how the information applied to us. This experience was so different than past workshops where I kept looking at the clock, ready to be the first out the door so that I could get home to my family. It’s not that the topics are boring or do not apply to me; it’s that I can’t sit for over an hour trying to pay attention to information that I could easily look up on the internet at home. Here we were, attending an all day 8-4 workshop and yet most of us (with little ones waiting for us at home and 5pm traffic just around the corner) still stayed and continued the dialogue started during the workshop. The workshop was about academic conversations in the classroom. Essentially, teaching your students how to talk like teachers. 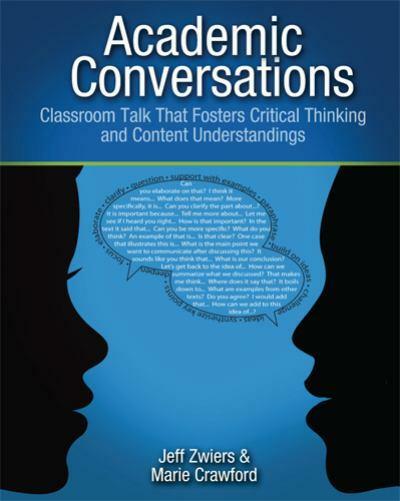 The idea was that students need to be explicitly taught how to use academic language in conversations. Students need to practice using academic language in dialogue and teachers need to model academic conversations with students. The workshop presenter really put us through our paces, challenging teachers to actually become students. Many of us found that we weren’t so good at academic conversation ourselves (this included other attendees at the workshop). Perhaps we were good at academic presentation, but the back and forth dialogue akin to a presidential debate, was HARD. I think for the first time, many of us started to really consider the difference between Academic ASL and Conversational ASL. By analyzing conversation in English, we could see that simply talking about an academic subject, did not mean you were using academic language. At our school, we have been exploring the concept of Cummins’ BICS/CALP and how we can help our students move from conversational ASL to Academic English. We find that students somehow cannot make that leap from conversational English to academic English and apparently they cannot make the leap from conversational ASL to academic ASL as well. I believe the primary reason is that we are not teaching out students how to have academic CONVERSATION. We allow students to talk about subjects in ASL but we don’t teach them HOW to talk. What language and/or terms should they be using? How can they turn a closed-ended question into a higher order open-ended question? How can they summarize/paraphrase a partner’s information using content specific language? We struggle with this because we as teachers are not given much opportunity to have that academic dialogue as well. I propose that professional development leave the powerpoints, keynotes and lectures notes as source materials that teachers can access before and during the workshop. Instead, let teachers dialogue about the information presented. Let them use their critical thinking skills to explore the ins and outs of the information. Let them question each other on the validity and applicability of the sources. Have them analyze the data and come to a consensus. Have them record their conversations to explore vocabulary and sentence structure used during conversations and most of all, give them explicit guidance in how to focus their conversations by using specific vocabulary to organize their thoughts. Let’s learn how to improve our teaching by experiencing teaching models as students.